Effortless protection. Luxury in the palm of your hand. Prepare to face the summer sun with this high-performance sun mist. Lightweight, undetectable sunscreen veils the skin in an even layer of soothing sun protection against damaging UV rays and heat-aging while Matsutake mushroom cools and hydrates sun exposed skin. Purslane extract provides excellent antioxidant protection, reducing skin irritationMatsutake mushroom soothes skin while bamboo sap, rich in minerals and amino acids, helps keep skin moisturized and cool. Polymer Network Technology uniformly disperses sunscreen, intensifying protection. It's my other favorite sunscreen (other than the AP cushion) to take on holiday due to its hydrating and lightweight nature. 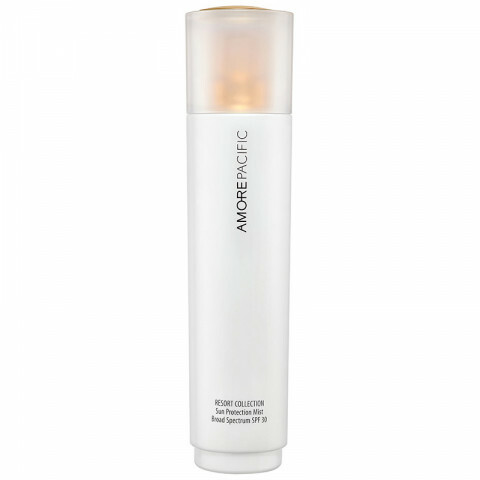 Perfect for reapplication of sunscreen and also refreshes your makeup. very easy spf spray to use on the go. i apply it in the morning over my makeup and it does not feel heavy. smells great too! I love how easy to use this is! The smell is so yummy. the smell is too strong and I have dry skin and it felt oily after a while.